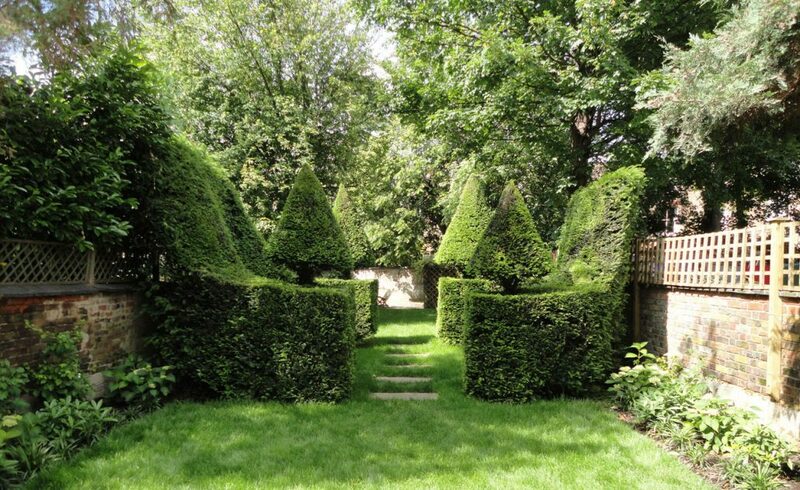 A beautiful large Edwardian house had a beautiful very large garden, rather shaded by some big trees and basically all lawn, but with the crowing glory of a topiary yew circle with cone towers created over time by past owners. 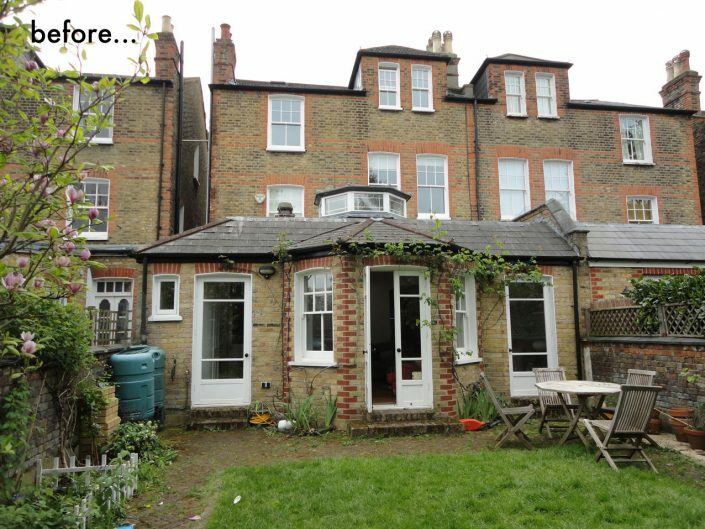 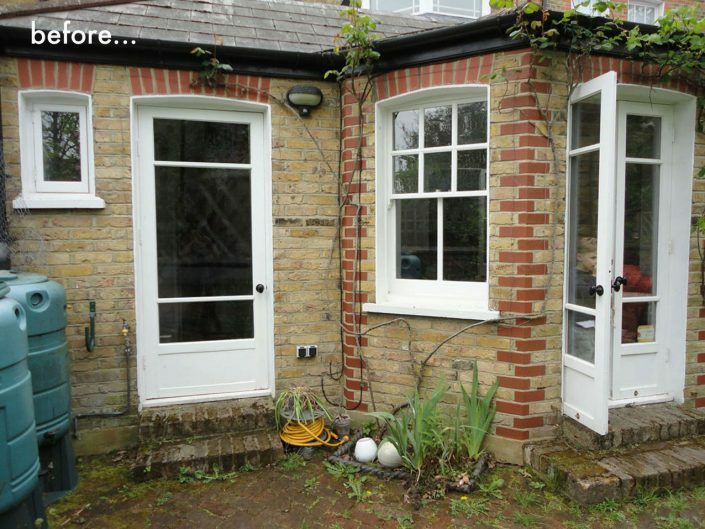 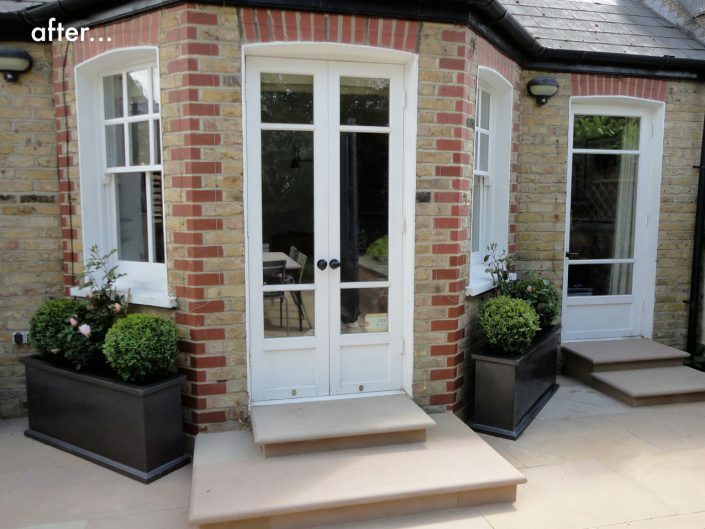 This was such an unusual feature that had clearly been a labour of love, and the new owners had loved it too and had maintained it beautifully. 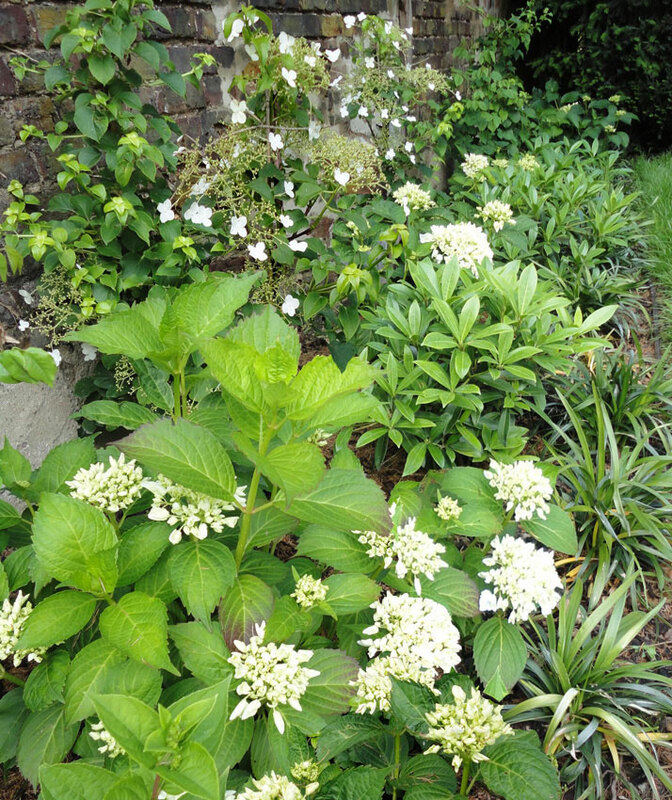 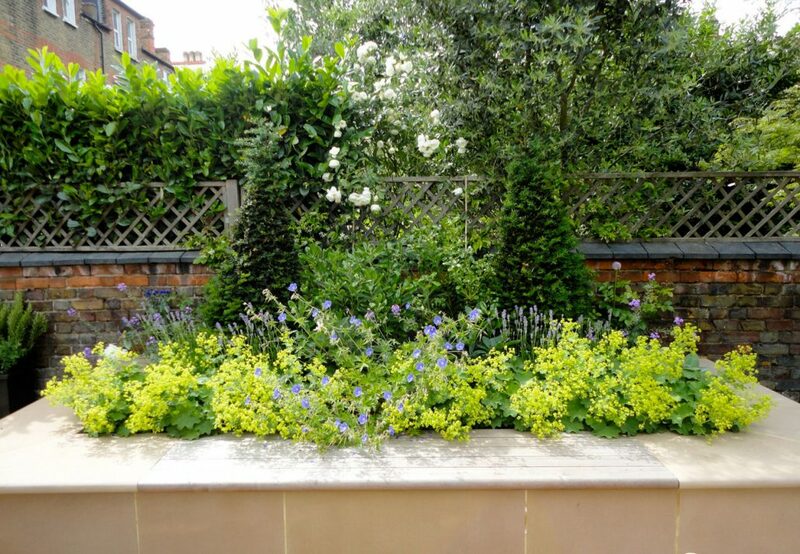 The brief was to try and save this unique feature and incorporate it into a new scheme keeping to the classic “English garden” look and feel. 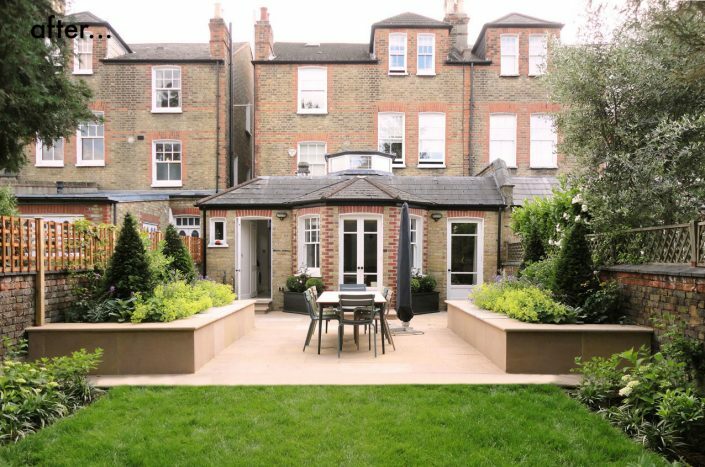 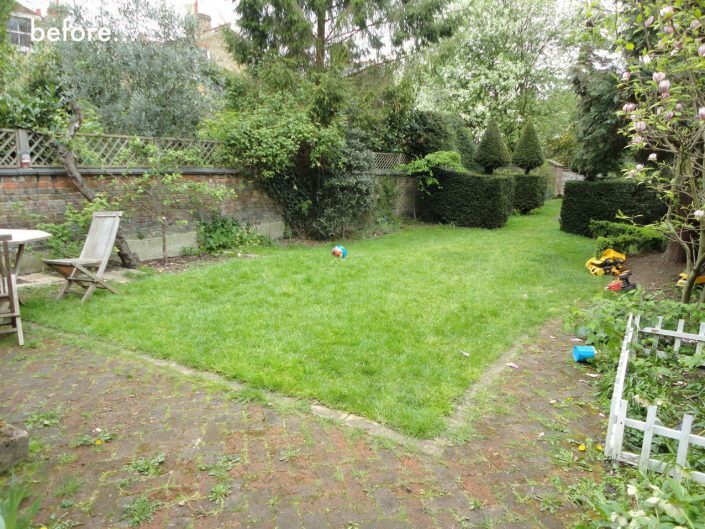 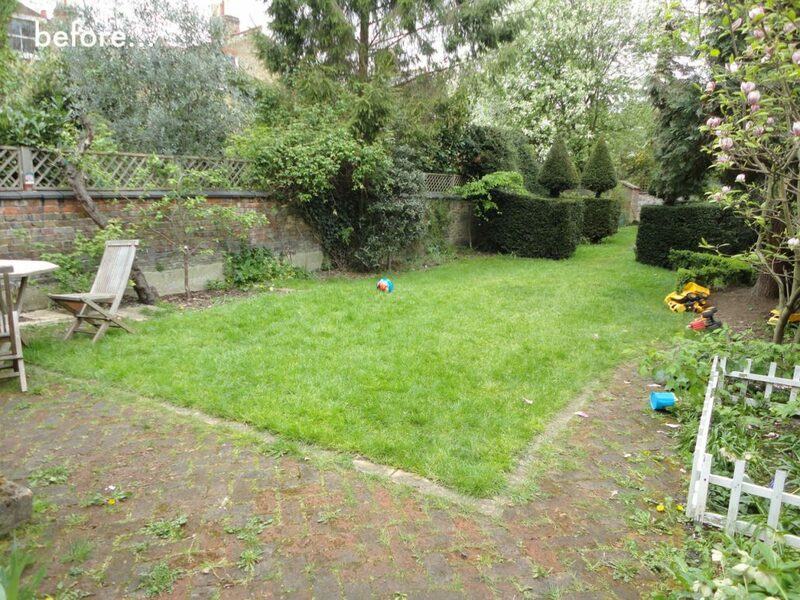 My clients required an adult space in which to enjoy their garden…somewhere for dining outside, BBQ’s and the odd party, but still leaving plenty of space for the little ones to run and play. 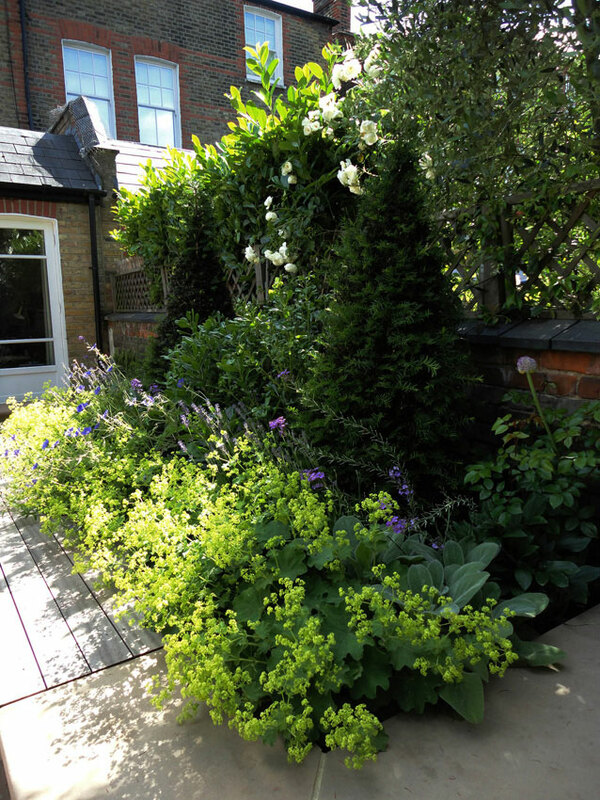 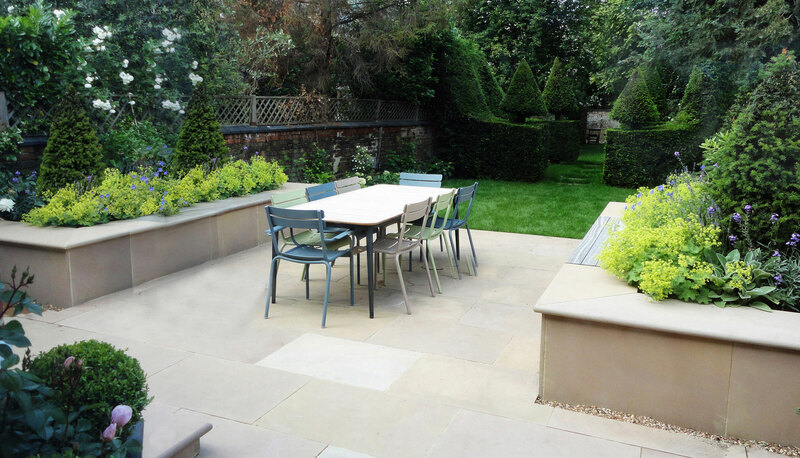 As there was so much unused space I decided upon a really generous stone terrace spanning the width of the garden. 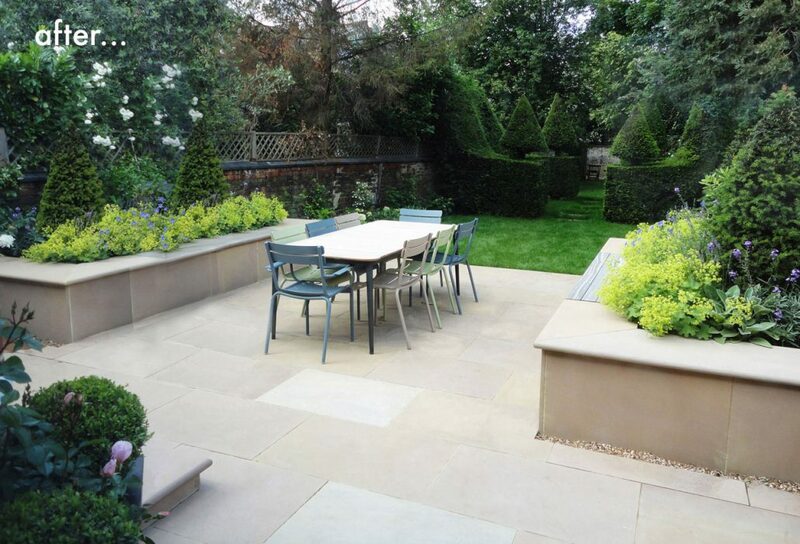 A classic Buff sandstone was the perfect material to build the grand terrace, the steps leading down from the house, and the large feature raised beds were all built using this stone, which gave the scheme a real sense of timeless elegance and quality attention to detail. 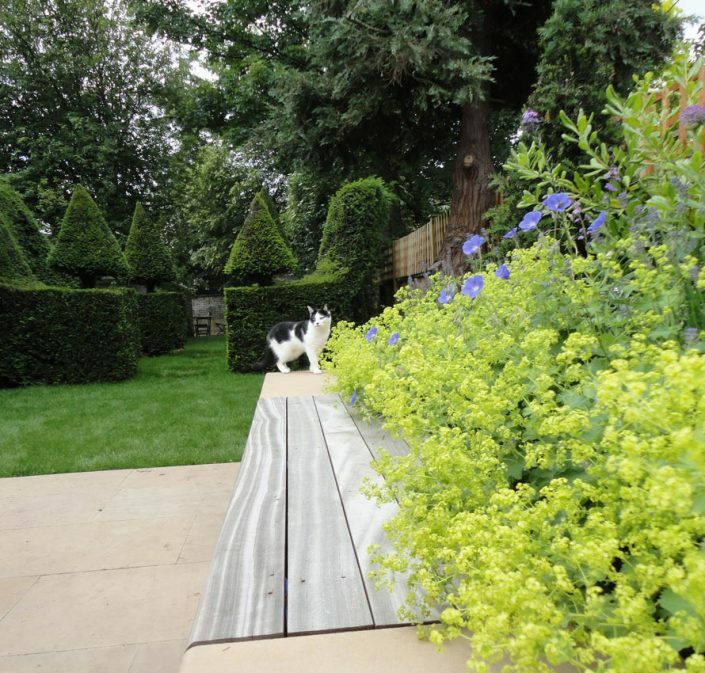 The large raised beds also served as additional seating with a bespoke timber clad bench section. 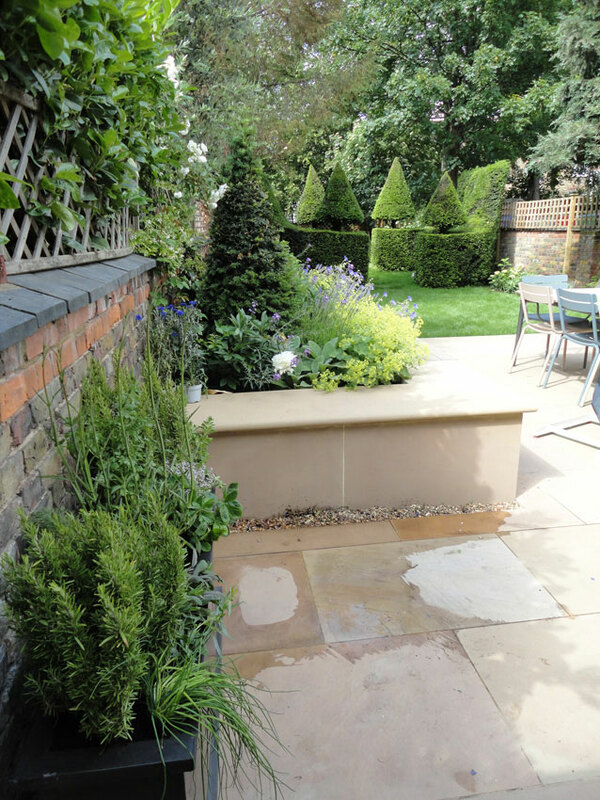 They were planted with Yew topiary cones to link with the existing feature of the garden. 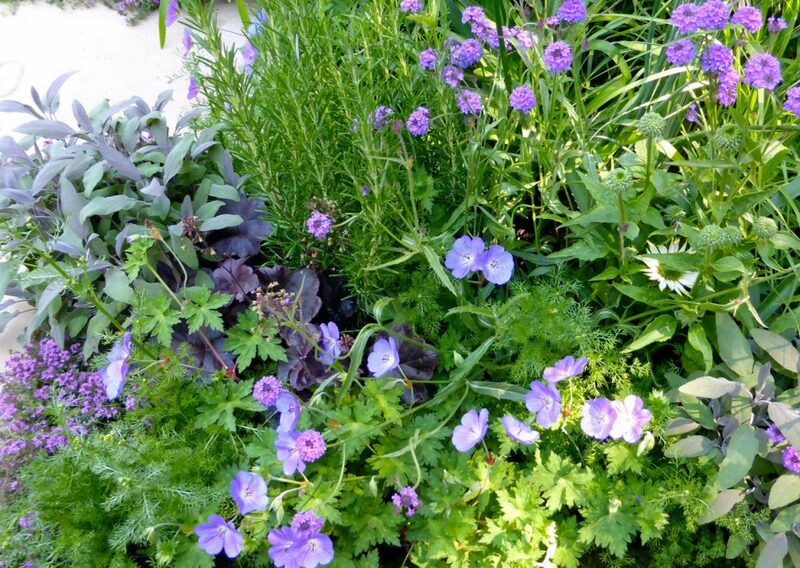 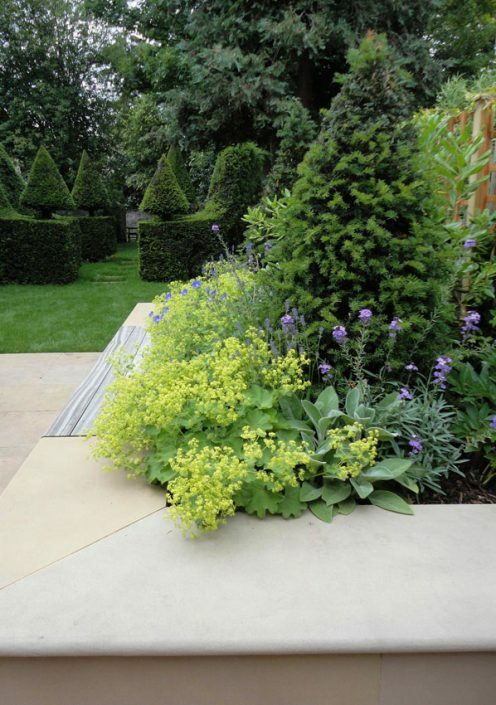 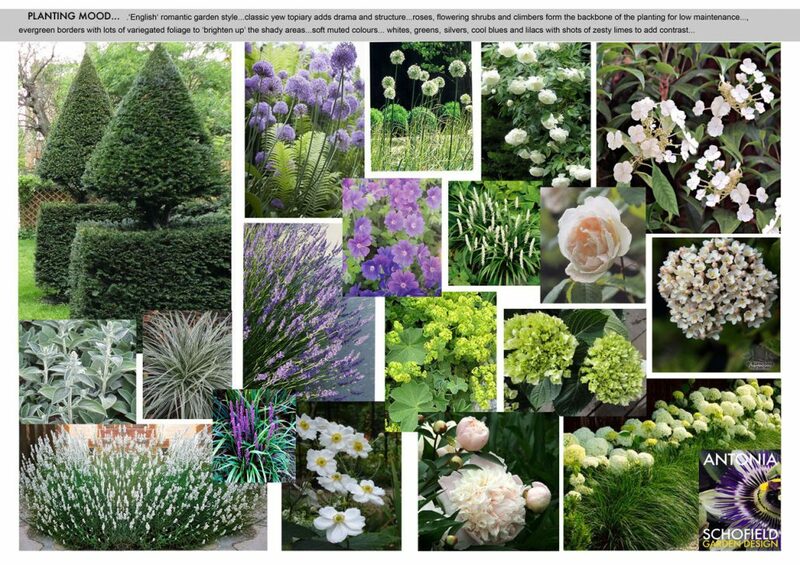 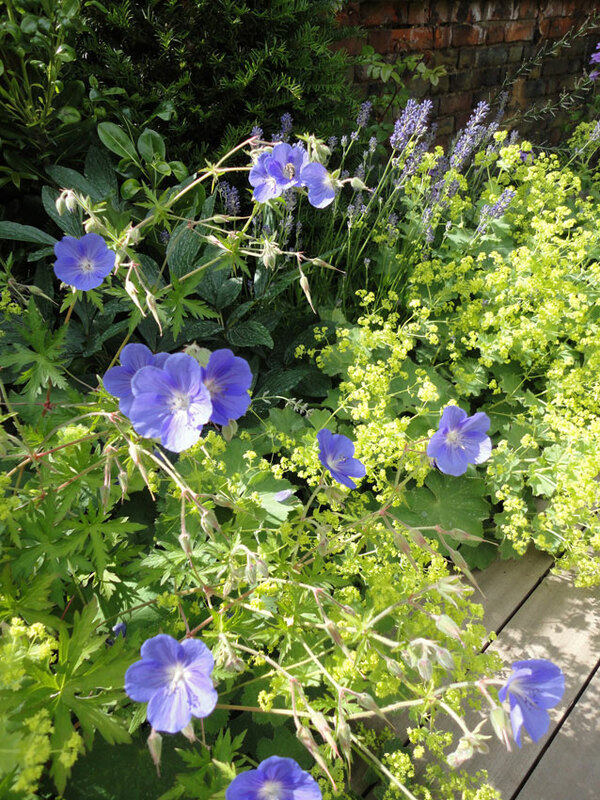 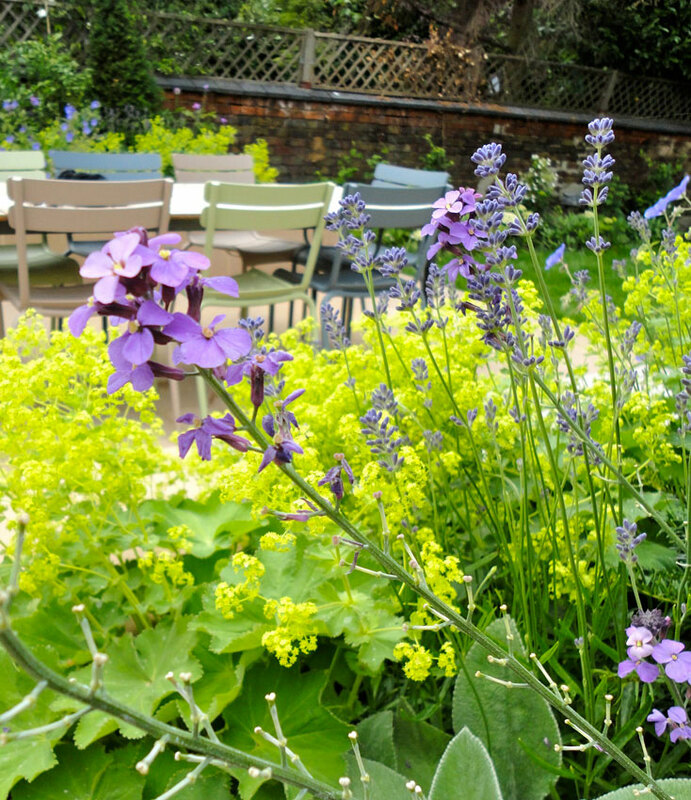 The planting scheme played with a colour palette of soft clean pale shades – creamy whites, soft pinks, lavenders & purples with shots of vivid lime to brighten up some of the shadier corners. Scent was key, so roses, jasmine, peonies, lavender, and skimmias were planted to fill the air with their glorious perfume.